Married for at least 50 years, what’s their secret? Seventy-five couples. One room. And one question. In theory, they all know the answer. 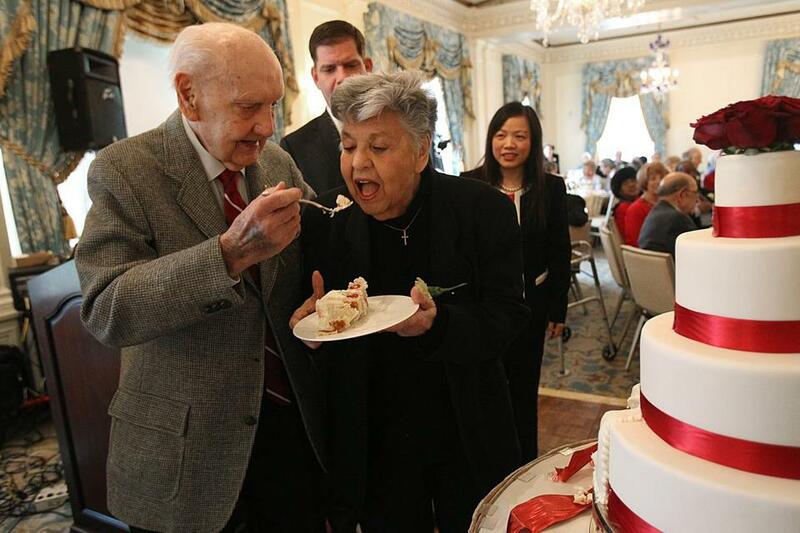 To get into this room in the Taj Boston, into this event sponsored by the city’s Commission on Affairs of the Elderly, they have all met a very lengthy requirement: They have been married for 50 years. At least. Together, they represent 3,820 years of matrimony. So what, then, is the secret? Let’s start with the deans of Monday’s event, Benjamin and Rosemary Kreder of West Roxbury, who are at 72 years and counting. 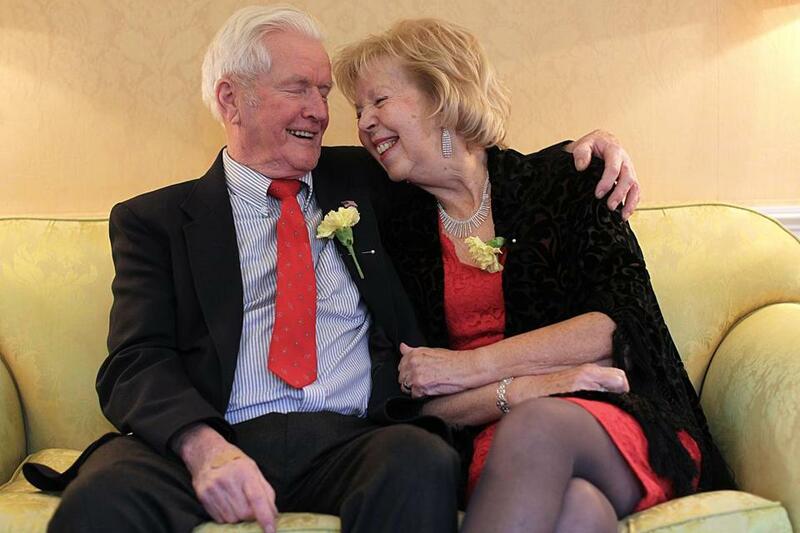 Local couples that have been married more than 50 years gathered at the Boston Taj. They, like many in this room, say laughter is at the top of the list. He says he knew he was going to marry her the moment he heard her laugh at a picnic, 75 years ago. She laughs at this story because she doesn’t believe a word of it. And with that story, she gives him that laugh. 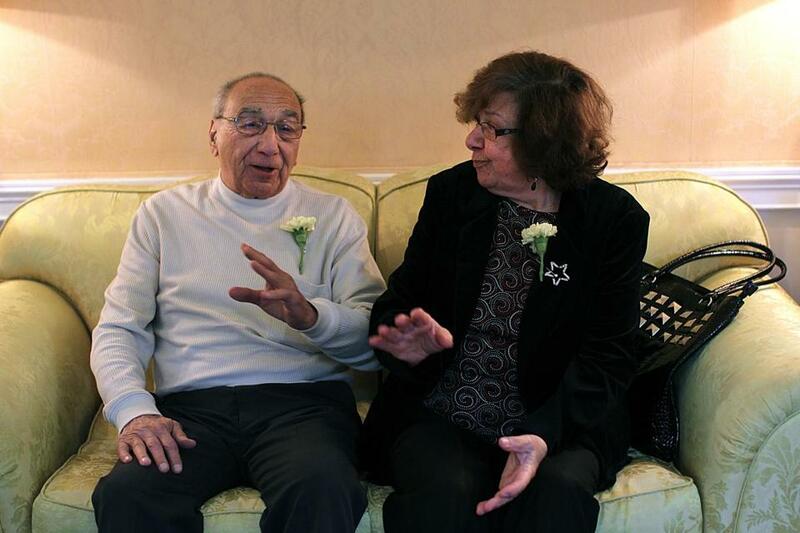 For Anthony and Anna Marie Fiore of East Boston, who were married in 1956, the secret to a long marriage is supporting each other, no matter what. With the joking and the sideways looks out of the way, they both say something obvious, something that comes up again and again with these couples: What made it work was that they started with true love and grew together into a team. Before the Fiores were married, Anthony fought in the Korean War. While he was at a military base in Virginia, he heard the song “Unchained Melody” come on the radio “and all I could see was her face,” he said. That’s when he knew they were going to be married. Two children, six grandchildren, and one heart attack later, they are still going strong. 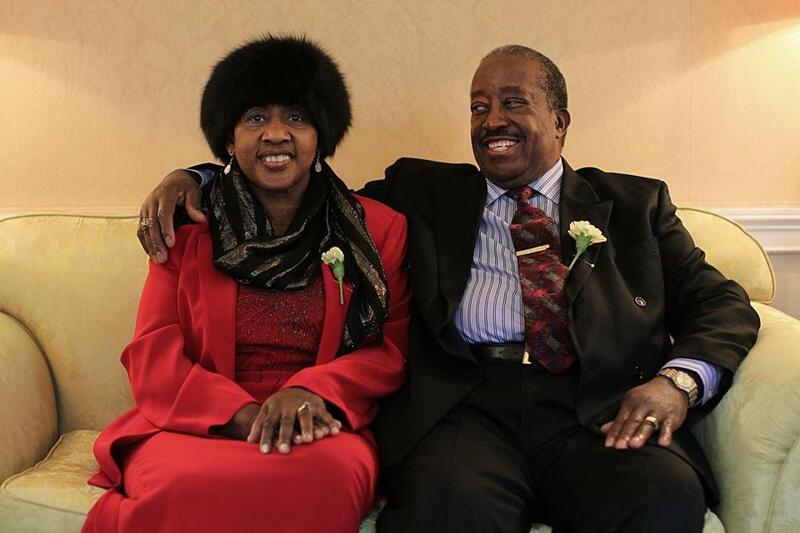 For Booker and Willie Anne Wilson of Dorchester, they say that space has played an important role in their 51-year marriage. “First off, purchase a big house so you can get your space from each other,” Booker, 72, said with a laugh. As each couple answered that one simple question — “What’s the secret?” — it was impossible to miss the role that humor played in each relationship, a gentle, offhand way of dealing with the struggles that every couple must ultimately face. “I win all the arguments,” Bill Downey, 78, said, only to be nudged by his wife, Ann. 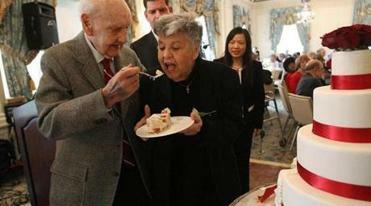 The West Roxbury couple have been married 56 years, and when they put the joking aside, she says it’s that old simple formula of respect, love, and being there for one another. 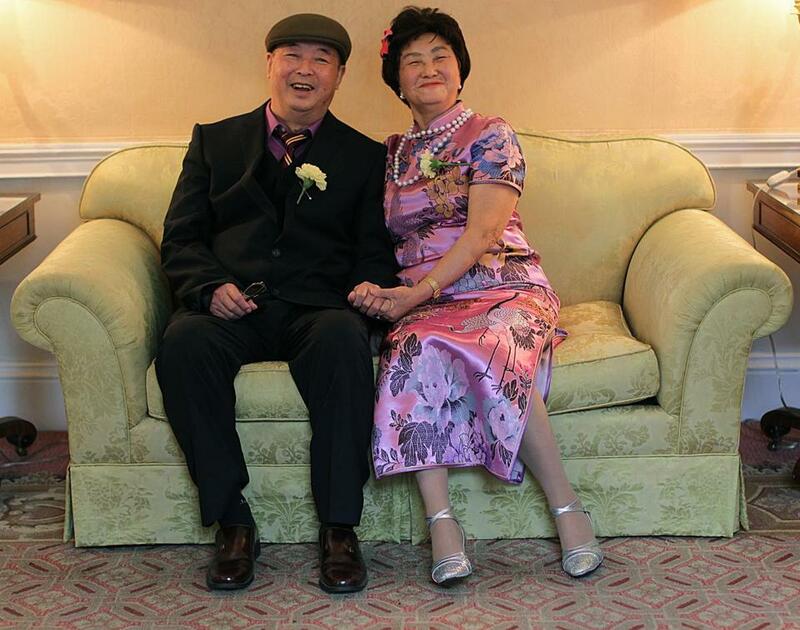 Yunzhong Xie and Cuie Zhu were married in China in 1959, and Cuie said it was hard to come up with any significant moment, and tangible reason, that they were still happy all these years later. And, as many couples mentioned, giving each other space. “If my wife is upset, I walk away and let her take time to deal with it,” Yunzhong Xie said, smiling while he waited for the translator. The event, which took place in the grand dining room at the Taj, was what you might call “age-appropriate.” There was water in the wine glasses, sparkling cider in the champagne flutes, and a band playing oldies that were, at some point in their lives, new. Some couples, particularly Xie and Zhu, ripped up the dance floor. Others used it as a place to park their walkers while they sat to eat. Mayor Martin J. Walsh arrived toward the end of the event and gave a short speech that again played on the humor of long relationships.